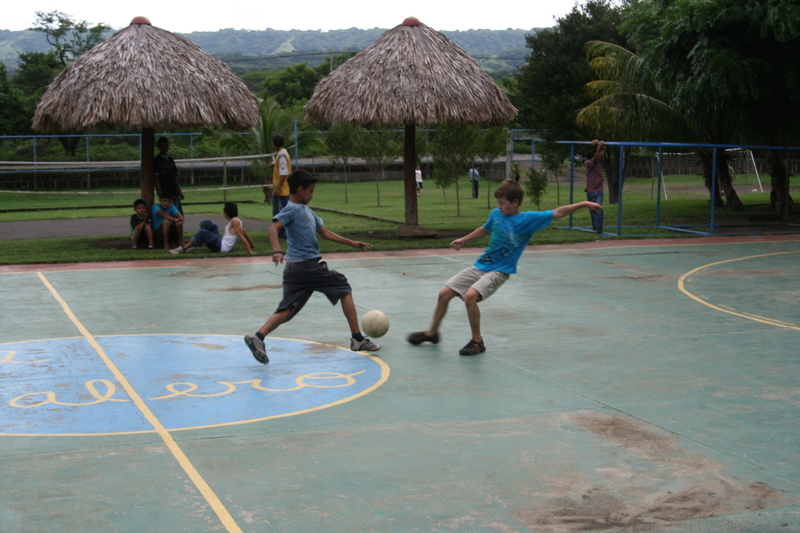 Well, everything earlier in this blog is from 2010 when we first went to Managua. But this week we are returning. We have a team of 8 will be going to El Solero Sports Center “The Salt Shaker” to play, work and learn. We meet at the airport late on Friday night and our flight is at 1am on the 9th. Subscribe to the blog to get reminders. Share the link with a friend and most importantly, pray that God uses us and teaches us. Thanks for your interest. Stay tuned. Playing "football" on the basketball court.